A beautiful history of race relations, forbidden love, and a cursed family in early 1900’s Maryland. Read my review here. 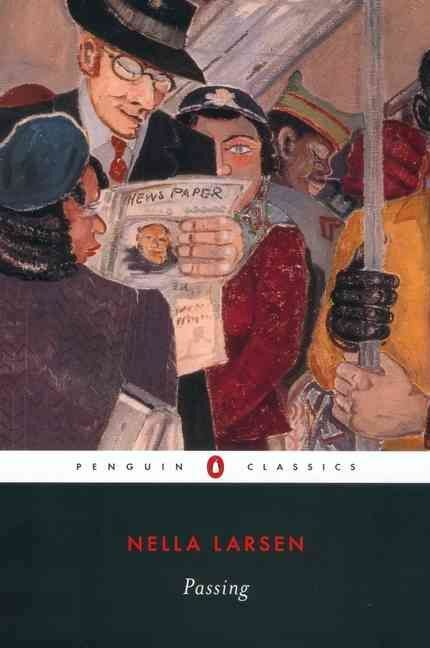 Passing is a thought-provoking short novel originally written in 1929, and Nella Larsen is today considered to be one of the premier novelists to come out of the Harlem Renaissance. The story follows two biracial women who can both “pass” as white despite being legally Black (h/t Plessy v Ferguson.) The main protagonist, Irene Redfield, is an olive-skinned woman who has chosen to remain part of the Black community; she is married to a darker-skinned (“copper” is the descriptor) man, and one of her two sons is dark-skinned as well. The second lead character is Clare Kendry, an old childhood friend of Irene’s; the two reconnect on a hot afternoon when Irene passes as white to gain entry to an upscale Chicago hotel. Clare, described as pale and fair-haired, has married a wealthy white man and passes as white full-time. Years later, now living in Harlem, Irene receives a letter from Clare, who is feeling isolated from her Black heritage. Her racist husband has no idea of her racial background, and as such, she has been unable to stay connected to her past for fear of revealing herself. While he travels, Clare hopes to see Irene and other members of the Black community in Harlem and revisit her roots. Irene has reservations about Clare’s re-integration into the community, but Clare’s persistence eventually sees her into the many social events that Irene is involved in. As one might expect, the social commentary in this novel is insightful and important. In addition to exploring the biracial experience from several angles, Larsen has also decided to focus on the middle-class Black experience, which is an often ignored segment of society even today. Therefore, in addition to racial themes, there are also implications about class privilege as well. I think this is an important book for pretty much anyone to read. The specific racism discussed is that of a very early-20th century overt nature, but the themes of “passing” and feeling “othered” by both racial groups of a biracial person’s background are still very relevant today. It’s a short book, and very well-written: Larsen’s language is rich and engrossing. I read it in a few hours and definitely recommend it. It’s a very small time investment for such a poignant story. I’m a long-time fan of Mosley, and have read most of the books in each of his series, so I was excited to hear that another had just come out. I have to confess that I was just a bit underwhelmed this time around. While Mosley’s writing style continues to be at once stark and powerful, and his characters often rich and many-layered, I found the plot of his latest McGill mystery to be unnecessarily complicated and just downright confusing, with so many twists and turns that I found myself scratching my head and re-reading pages to try to figure out who did what to whom, when, how, and why. Many of those questions were still unanswered by the novel’s end. Leonid McGill is a former fixer-for-hire for all sorts of criminal elements who, somewhere along the way, has acquired a moral code, a private eye’s license, and a need to assuage his guilty conscience for his past sins. McGill is also a middle-aged black man living in New York City with his Scandinavian wife of many years and with his three mostly grown children. McGill’s marriage deteriorated a long time ago, and his continued cohabitation with the alcoholic Katrina is more a matter of habit than affection, as each of them pursue independent lives and loves and have done so for many years. In this, Mosley’s fourth in the Leonid McGill series, his lead character attempts to right another of his wrongs by providing the courts with evidence to free Zella Grisham, who spent eight long years in jail for a 58 million dollar heist he was hired to frame her for. Her release from prison, however, prompts the brains behind the theft to target for murder anyone who can point the finger in the right direction—that includes most of the thieves themselves, Zella, and McGill himself. When two professional hit men come for McGill in his own home, he decides to turn the tables by uncovering the mastermind and finding the missing money. So far so good. But Mosley, who is known for giving the main characters of his novels a philosophical bent so that he can insert his own thoughts about the world into his stories, makes a bit of a hash of it this time. McGill spends lots of time drinking lattes and staring into space while revisting his childhood, his love affairs, his marriage, his relations with his children, his past criminal actions and so forth, and the rest of the time in encounters that are far-fetched to the point of ludicrous. Example: he single-handedly kills the two armed assassins that come for him, even though he is naked, in the dark, and coming out of a deep sleep. Example: he is reconnecting with former lover Aura, still making love with his wife, and yet flirting with a woman who goes from a deadly enemy to a potential conquest in what seems a blink of an eye. Example: McGill is relentlessly persecuted by long-time nemesis Police Captain Kitteridge, who has the dirt on McGill’s past, and yet Kitteridge inexplicably protects McGill, trusting him to the point of deploying him as a police asset to solve the $58 million heist. We never find out why. Nor did I ever figure out who actually hired McGill eight years ago to frame Zella for the heist. Does it matter? I’m not sure. The plot, confusing enough with the introduction of a multitude of characters (some with nicknames that Mosley uses interchangeably with their real names–to try the reader’s patience, I suppose), is criss-crossed with several other sub-plots, including (1) McGill and son being reluctantly hired to protect a rich man’s brat only to learn that the brat is a crime ring boss with murder on his mind (2) his wife going insane because their son is moving out of the house to live with a former Russian prostitute (3) his long-dead father suddenly coming back into his life. Not sure why Mosley included sub-plot #1, except perhaps to give McGill a chance to ponder class distinctions and rage against the rich. Totally unnecessary, I thought. McGill has a fascinating relationship with his street-smart son Twilliam, who he pulls into his investigative business to try to save him from becoming another young Leonid McGill, and it is one of the more affecting relationships Mosley depicts. His relationship with his daughter Michelle, however, is disappointingly one-dimensional and uncomprehending, as with his lover Aura. His relationship with his wife is just incomprehensible, period. McGill’s scattered musings about race relations, gender relations, class relations, and so forth are vintage Mosley, but somehow work less effectively than, say, in his novels about Socrates Fortlow, my favorite Mosley hero. All told, Mosley’s less successful writing, in my opinion, is still a hell of a lot better than most of what calls itself the mystery genre today. And, to be sure, the core theme of all his writing—the power of repentance and the promise of rehabilitation—is very much in evidence in this latest novel as well. I just wish the story itself had been as compelling.